As promised, Magic Leap has started to ship its Magic Leap One Creator Edition before the summer is over. Aimed at "developers, creators and explorers," this initial release doesn't have much fun in the box for Joe Public. It comes with all the Magic Leap hardware, as shown in the pictures below, but only a handful of 'preview experiences' for people to test the mixed reality experience with. The core of the new Magic Leap One Creator Edition is the LuminOS operating system. It is said to leverage machine learning to deliver a high fidelity visual special computing platform to the user. Other essentials are the Helio web browser with 3D and spatial web experiences, the Screens video player that allows users to place multiple displays of any size in their physical space, and Magic Leap's own avatars and Social application. After assessing the hardware, OS and built-in apps, developers will probably quickly move onto working with the Magic Kit. This is described as "a powerful ever-evolving toolkit containing sample code, tech write-ups and design diaries to help you fast track your training in spatial computing, create high quality mixed reality interactions and navigate your way through the Magicverse". 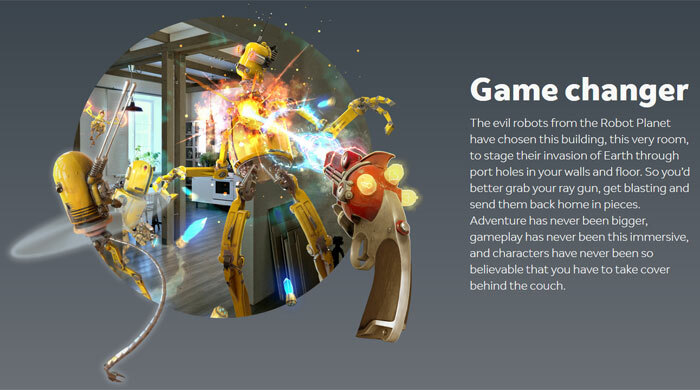 More consumer-friendly are the preview experiences which include; a collaboration between Sigur Rós and Magic Leap Studios dubbed Tónandi, a playful sandbox mixed reality experience of painting, drawing and building called Create, and (coming soon) a "hyper-realistic action game in which evil robots have chosen your living room to stage an invasion," called Dr. Grordbort's Invaders. 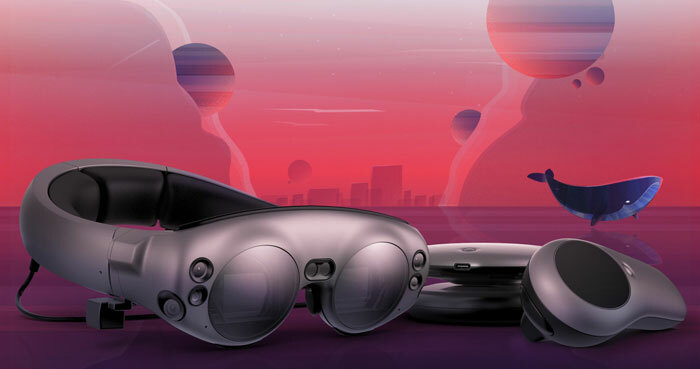 Magic Leap One Creator Edition kits can now be delivered for free in Chicago, LA, Miami, New York City, the San Francisco Bay Area, and Seattle but outside of the urban centres you will have to make a reservation for one of these US$2,295 developer kits. Inside the box you will find the Lightwear headset, Lightpack computing pack, Control handheld input device, a Fit Kit to ensure a perfectly calibrated fit, chargers, and a Quick Start Guide. Magic Leap says there are just limited quantities of the mixed reality headset kits available. Over at The Verge, a reporter had a 'hands-on' with one of the new Magic Leap One Creator Edition packs. I was interested to read that the overall image quality "felt similar to HoloLens" but the reporter concluded that it still seemed "a long way from realising the promise of the medium". Reportedly, the Magic Leap One Creator Edition HMD has an FOV of 50 degrees, somewhat more immersive than the 35 degrees on offer with the original Microsoft HoloLens device. Microsoft, however, has made progress with HoloLens 2, expanding the FOV to as much as 70 degrees.